Best water from best filter. With its modern design, clean lines and practical functions, the Aluna jug makes drinking water a real pleasure. 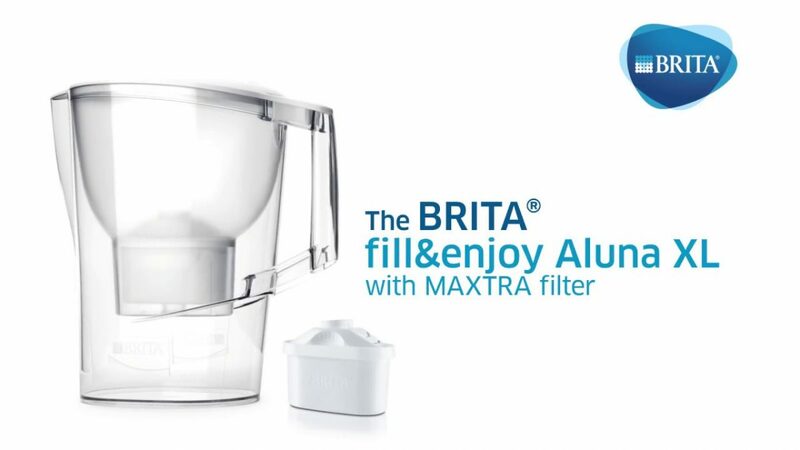 The MAXTRA filtration technology reduces limescale quickly and easily, allowing the full aroma of coffee and tea to develop. Featuring the BRITA memo which tells you when to change your cartridge.